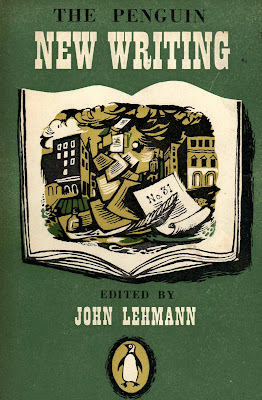 I guess most people’s introduction to the work of John Minton are those vignette line drawings in Elizabeth David’s first book, A Book of Mediterranean Food (1950) or perhaps her follow-up, French Country Cooking, but I think I first came across his work when I was urged in the early seventies to look out for the bright covers of those Penguin New Writing paperbacks by a fellow student John Archer, who later ended up as head of BBC Arts TV in Scotland. I remember him rooting out three or four copies from a pile of dog eared paperbacks outside a junk shop in Balsall Heath, Birmingham. I took the hint and began myself to seek out copies, which back then seldom cost more than 5p each. Minton belongs with those other British Neo-Romantic artists—Sutherland, Piper, Craxton, Ayrton, Colquhoun, McBryde, and assorted lesser lights, who seemed to dominate, not only the pages of Penguin New Writing, but just about every other little magazine of the period. 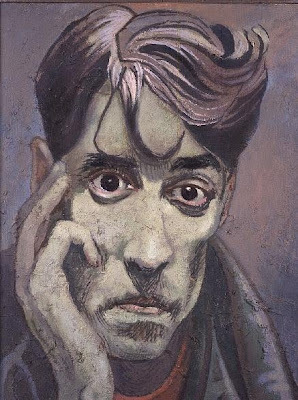 All except Craxton have been the subjects of biographies —the two Roberts, Colquhoun and Macbryde, being the latest .The fact that Minton, who was essentially an illustrator, has had the rare honour of being chronicled by the acclaimed Bloomsburyite Frances Spalding, is a telling testament to his cult status. His greatest influence was Samuel Palmer, though equally had Graham Sutherland not lived it is unlikely that Minton would have developed in the way he did. 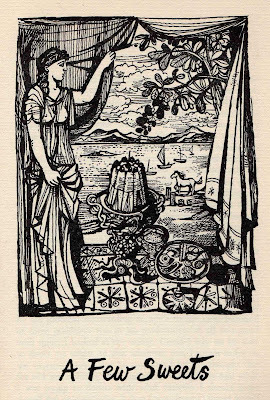 Unlike Sutherland, Minton would have been too young to have been inspired by the ground-breaking Samuel Palmer exhibition of 1926, though no doubt he came to know Palmer and his fellow ‘Ancients ‘ through the exhibition catalogue and indirectly through Sutherland’s pastoral etchings of the 1920s, which were re-interpretations of Palmer’s vision. And like all his fellow Neo-Romantics he saw the significance of Sutherland’s ‘Entrance to a Lane ‘(1939) as a symbol of an English romantic revival So, Minton’s present popularity seems wedded to that of Palmer-- and as long as the English continue to be in love with the pastoral dream, Minton will remain a collected illustrator. But there are other factors that make him attractive. He was gay and depressed/repressed with it. He had a private income ( scion of the famous crockery company ), which gives him an added allure and he was a veteran of the Soho and Fitzrovian drinking sets, which are also currently in vogue. He is probably at the height of his popularity just now, if the prices in ABE are any indication. His most celebrated book is probably Time Was Away (1948), Alan Ross’s diary of a holiday in Corsica. Geoffrey Grigson ( who was ambivalent towards neo-romanticism) absolutely slated it in a review, but it cannot be denied that this unremarkable narrative is improved by Minton’s 52 full page illustrations, eight of which are in glorious colour. Expect to pay between £70 and £90 for a copy without wrapper, to double that for a copy with one, though any Corsican bandit might shrink from asking the £250 that Clearwater demands for their near-perfect copy. I think I shelled out forty pence for my wrapper- free copy, but that was thirty odd years ago. 'Miles presents Minton as a “character” who was better at talking than painting, and a man who could not hold his drink. According to Miles, “today no-one has heard of Minton”. Well, I have. 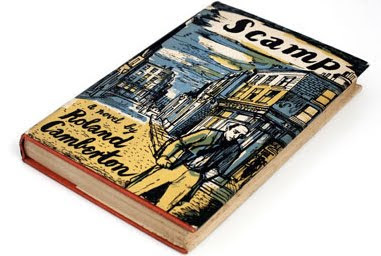 I believe that he was a superb illustrator of books, and I do not regard book illustration as a minor art form. You can buy a Minton painting for less than a 100th of a Freud and 200th of a good Bacon. Whether that is a good investment I'm not sure, art is tricky right now. Best to buy books. A propos des bottes the American bookdealer Breslauer destroyed a Lucian Freud portrait of himself because it was unflattering - he objected to the way Freud had painted his double chin. Breslauer was one of the richest dealers who have ever lived but art history will not look kindly on this act, nor his heirs. The portait above is by Cecil Beaton. 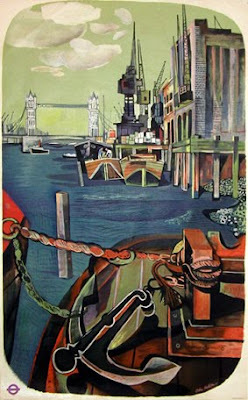 The image middle left is a London Transport poster by Minton from the 1950s. There's an amusing, period, "Hello sailor!" quality to Minton's "Treasure Island" illustrations. Word verification "dented" - second real word I've had today.